amdram.co.uk for an extensive site on Amateur Dramatics in the UK, including societies throughout the UK, events, suppliers, and other useful information. The Bromley Arts Council maintains, improves and develops the arts in Bromley. The Bromley Theatre Guild runs festivals and workshops for amateur dramatic groups in Bromley. Their website gives details of the other member societies in Bromley. The Kent Drama Association runs festivals and workshops for amateur dramatic groups in Kent. It's website gives details of the other member societies in Kent. Farnborough Dramatic Society produce three productions a year at Farnborough Village Hall. 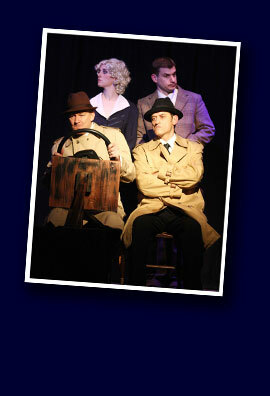 Theatre 62 are based in West Wickham and produce five productions a year. St John’s Dramatic Society stage two productions a year at St John's Church Hall in Selsdon. This site was designed and is updated by Robin Clark of Publishing Projects. You can contact Robin by email (robin@publishingprojects.co.uk).